Leigh Davey grew up on a farm and always had animals in her life, just loved being around them. With 15 years, Leigh started working at the Cooroora Veterinary Surgery as a Kennel’s hand for 2 years before starting her nursing certificate at Noosa Veterinary Surgery where she stayed for 10 years. As Leigh Davey love dogs, she started being interested in dog behavior and dog training, so she began running the local puppy preschool for 6 years. 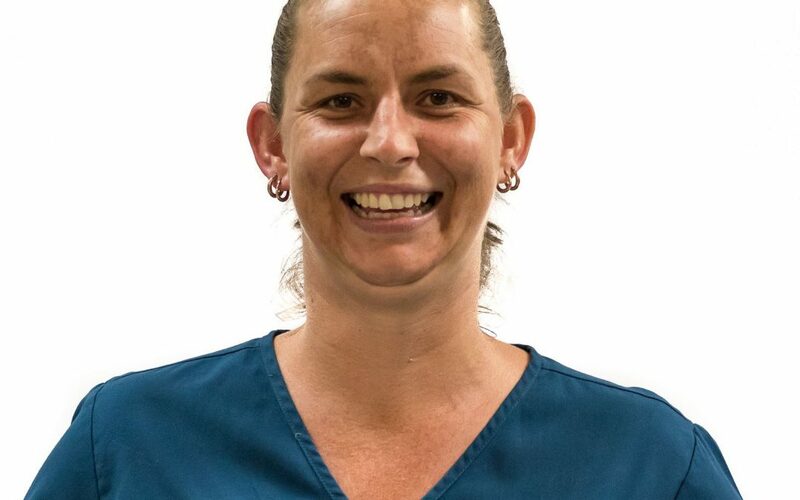 Meanwhile, Leigh worked on her career and finally became a Senior Veterinary Nuese at the Noosa District Animal Hospital. Here at the Animal Emergency Service Tanawha, Leigh loves reuniting the patients with their families. Working with such a passionate and dedicated team makes it easy to love her job. When Leigh Davey is not at AES, she likes spending time with her family, being in the outdoors and growing my own veggies. She also enjoys horse riding, camping, and fishing. Leigh has a 5-year old Kelpie who goes by the name Marley. A bull Arab, named Tiny, who thinks he is a lap dog, Indy the Quarterhorse who is a bred from her first pony and finally, Oce & PomPom – 2 very noise budgies.